The unisex Ray-Ban RX 5283 5609 model offers a striking contrast between its classy havana front and sleek, dark blue temples. 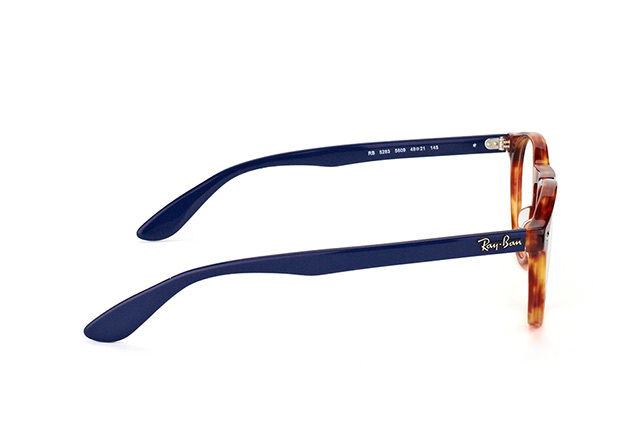 Silver decorative rivets adorn the rims while the famous Ray-Ban logo appears on the temples. 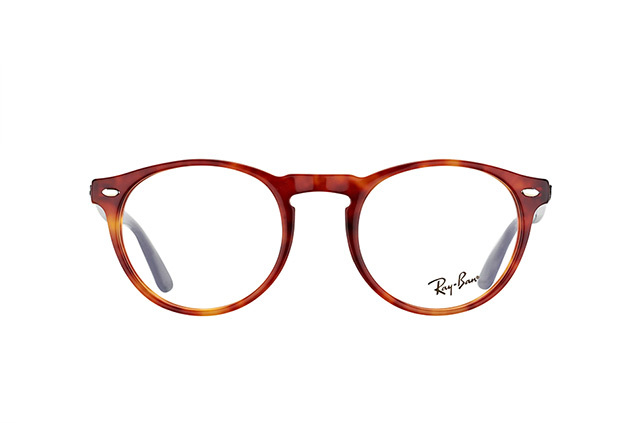 The round, panto-style lenses create a cool, retro-chic impression.